British judoka Ashley McKenzie, Amy Livesey and Alice Schlesinger all win bronze medals at the Antalya Grand Prix in Turkey. 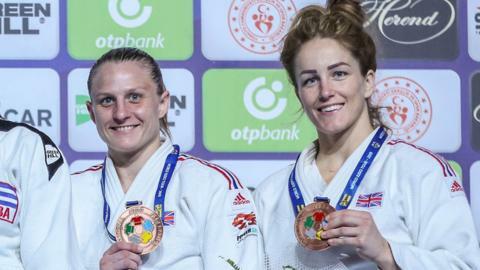 Britain's Lucy Renshall wins silver at the Ekaterinburg Grand Slam but Natalie Powell misses out on the podium after losing her -78kg bronze medal contest on Sunday. Natalie Powell finishes fifth for Britain in the Dusseldorf Grand Slam, following Sally Conway's gold on Saturday. Sally Conway wins -70kg gold for Britain at the Dusseldorf Grand Slam, with Lulu Piovesana fifth in the -63kg category.